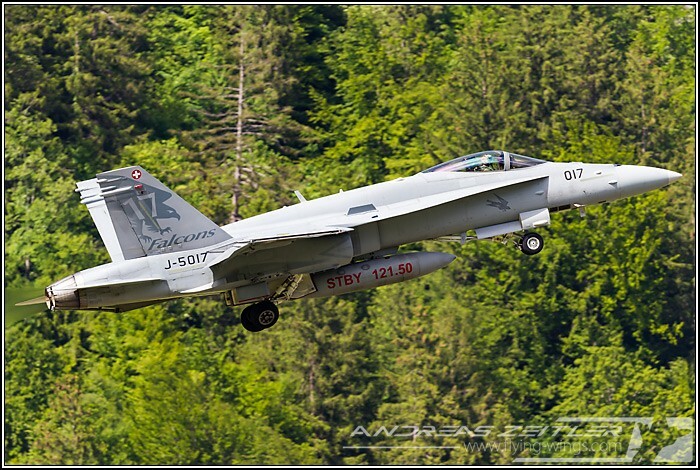 The Swiss Air Force still operates two jet types in their fleet, the F-18 Hornet and the F-5E Tiger. 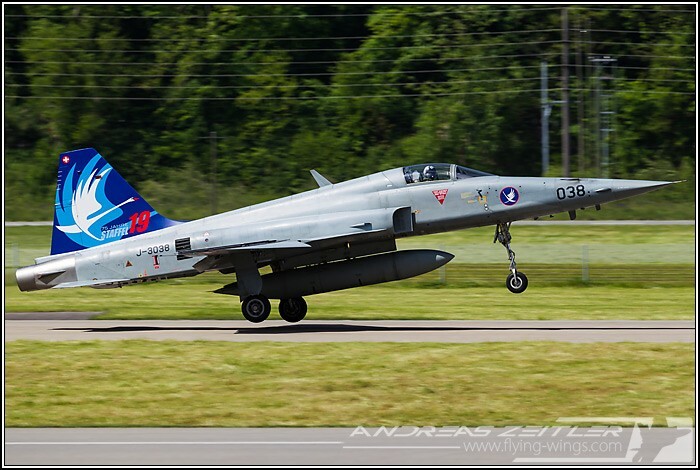 During the annual WK (Wiederholungskurs - repetition course) Squadrons operating these aircraft relocate to a certain airbase in order to train their skills in a "wartime-like Environment". In May of each year it is usually time for the 11. and 18. 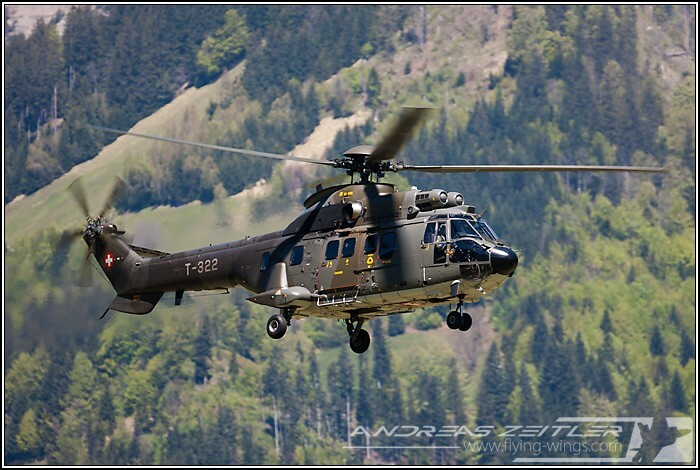 Squadron to hold this exercise at the alpine airbase Meiringen. 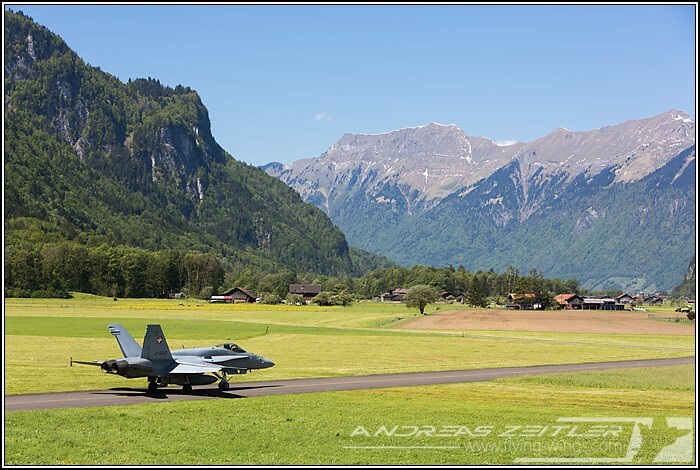 Meiringen is located in the middle of Switzerland, having its runway embedded in a narrow valley and surrounded by farms, fields and cows. 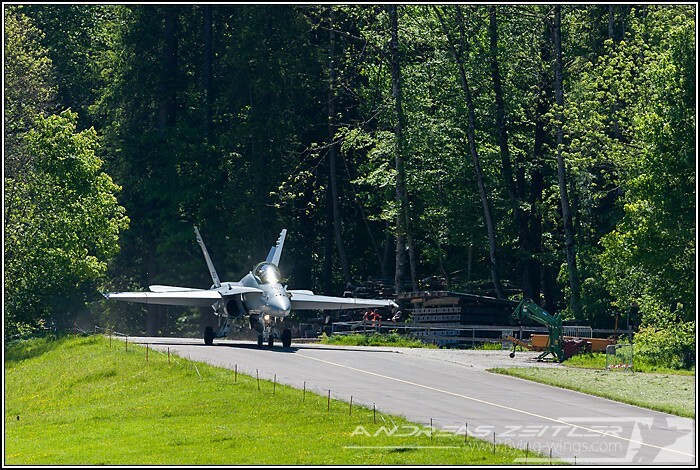 The scenery around the airbase is thus very scenic and quite unique, as are the caverns, those famous caves that can host a full two Squadrons of aircraft. 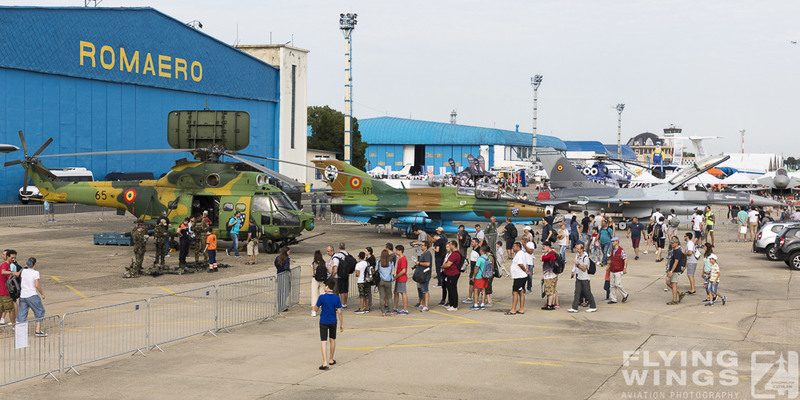 Their inside is classified as top secret, but it can be derived that their inner includes everything that is needed for maintaining and operating the jets, as well as for 'daily life' activities. 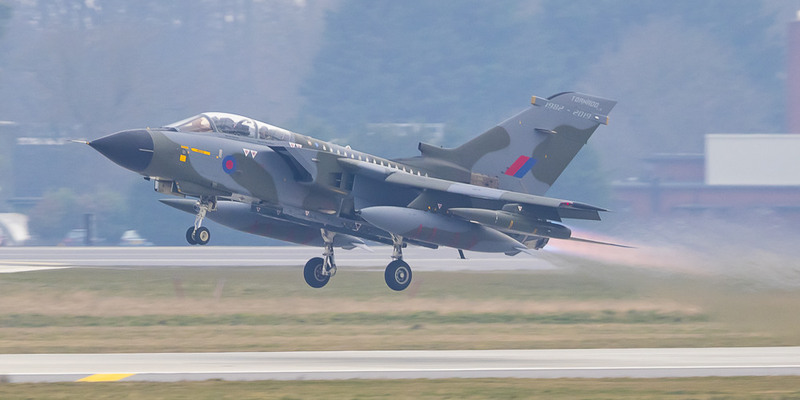 During the WK the two Squadrons operate out of the caverns, and the jets do only appear outside with their pilots already sitting in the cockpit and ready to start the jet. 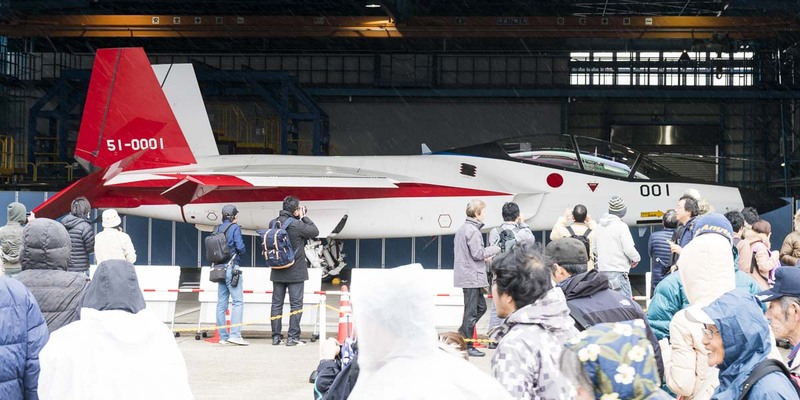 Thus once the aircraft is out, the tow truck is being removed and the engines starts howling and the aircraft is ready within minutes to taxi. 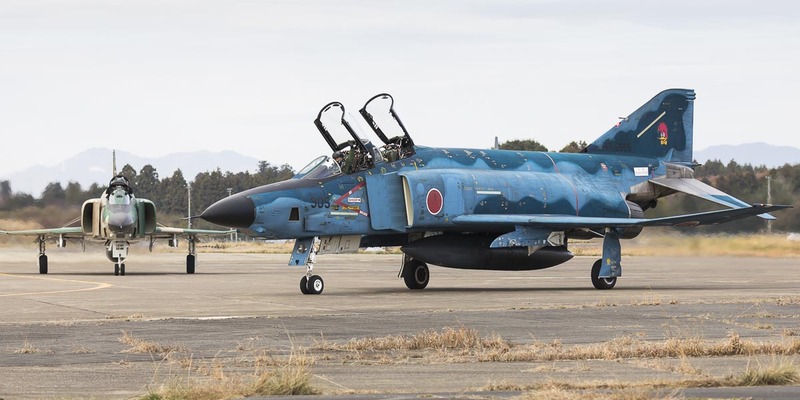 This procedure considerably reduces the time the jet sits vulnerable on the ground in emergencies. 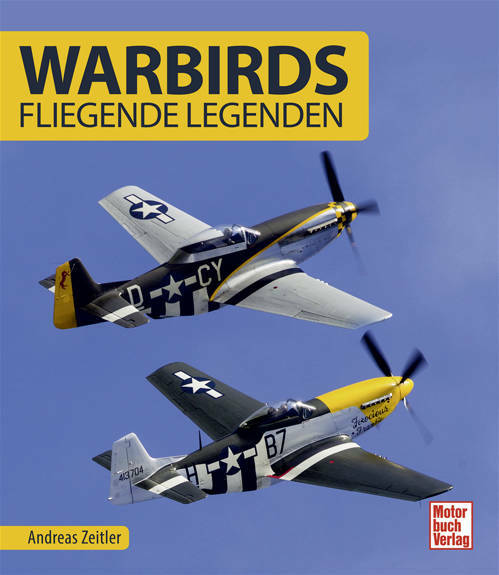 The two Squadrons operating the F-5E and F-5F Tigers and F-18C and F-18D Hornets were flying regularly this day in around 5-6 waves, each consisting of up to 4 aircraft. 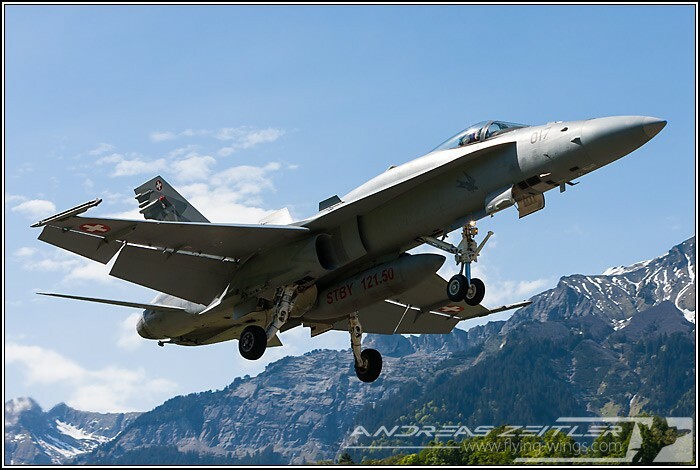 Most of those were training flights in air-ground role, as the aircraft could be seen circling around the famous Axalp air-ground gunnery training range above the valley. Additionally the remarkable sound of the famous M61 Vulcan canon was gently heard reverberating in the valley. 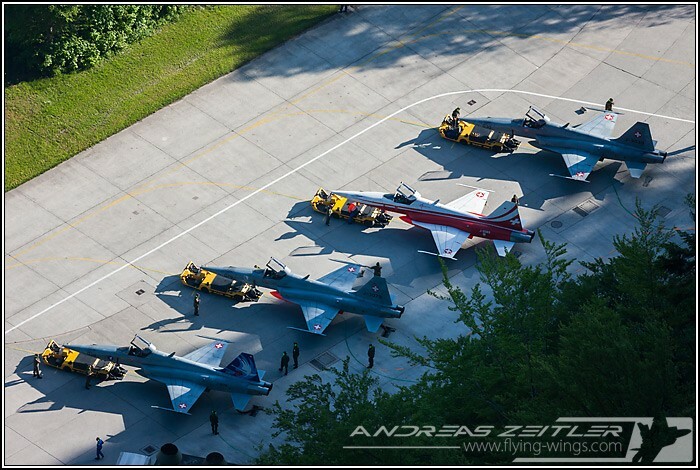 Air-air training was also on the order of the day. 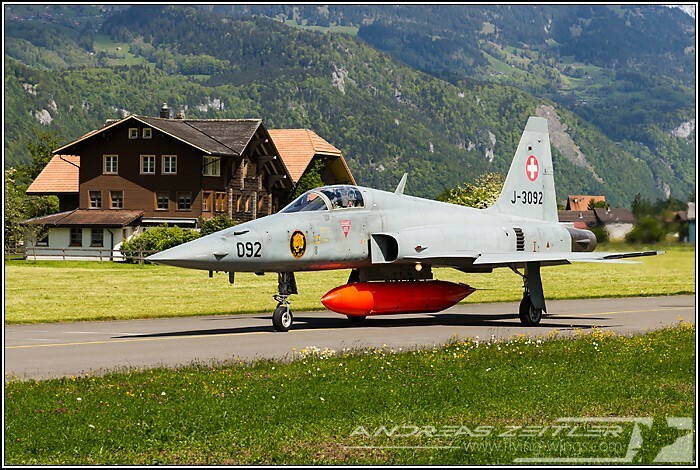 For these flights, the "Aggressor" Tigers do carry an external fuel tank painted in a high-visibility orange - or the scheme of the Patrouille Suisse to be better seen by their training partner. 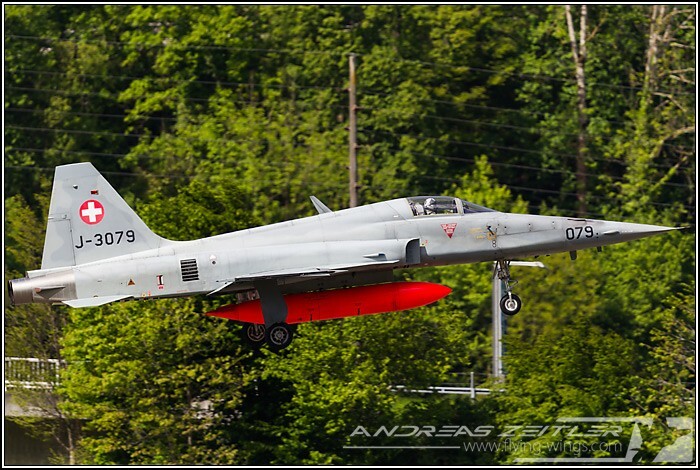 Though the F-5E and F-5F Tigers were in full swing during this WK, after more than 30 years in Swiss service they are becoming a rare breed in Switzerland with their days being counted more or less. 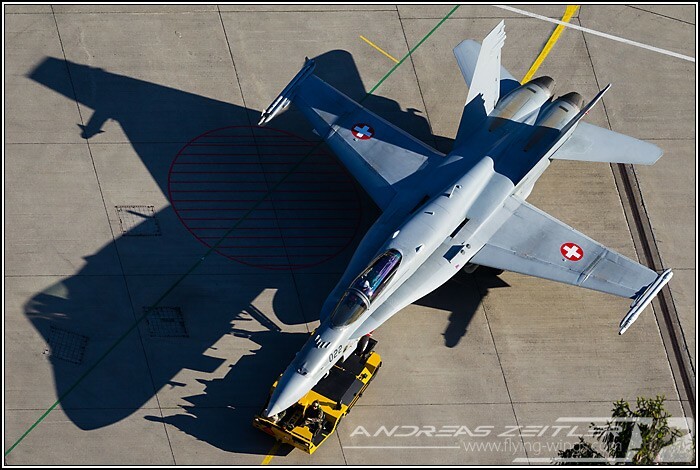 With the "No" to the Gripen NG of the Swiss public in a recent vote it remains to be seen what the strategy of the Swiss Air Force will be to replace those aging jets and renew their fleet that after disbanding the Tigers would consist of only 30 F-18 Hornets. 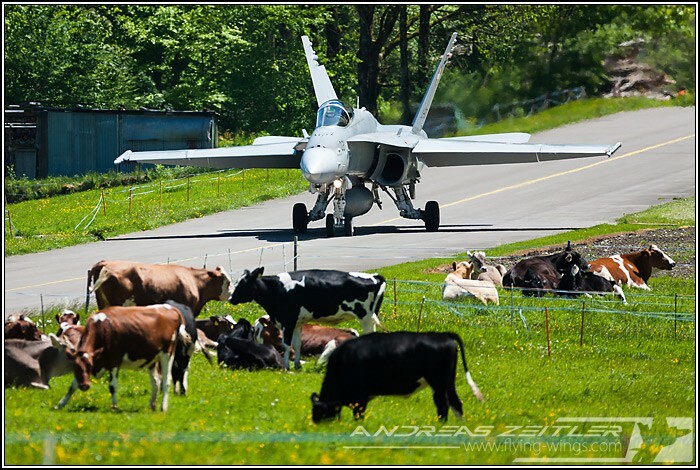 It will be interesting to see how the Swiss Air Force reacts once this rare breed is becoming extinct in the Swiss Alps.